Introducing the third design in our Label Medley series! 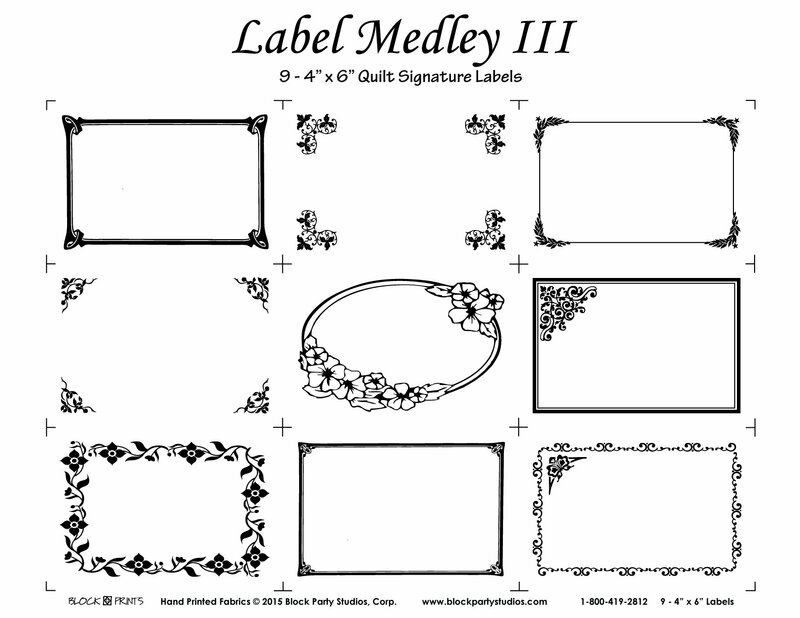 Label Medley III is nine (9) 4" x 6" labels for your use. Can be signed with Perma Writer and signed with Fabric Markers to add extra personalization to your creations.